Simon is Co-Founder and Blockchain Lead at 11:FS. Previously at Barclays, he established the bank as one of the leaders in blockchain thought and action. Simon also serves as an advisor to central banks and governments, in addition to consulting the top 20 banks on blockchain. He's helped a variety of startups flourish through the Barclays Accelerator. Simon Taylor has hosted 86 Episodes. On today's show: Wallstreet sneaks up on crypto as Poloniex is taken over by Goldman-Sachs backed Circle, Nearly half of last year's ICO's have already failed and Venezuela go crypto crazy. 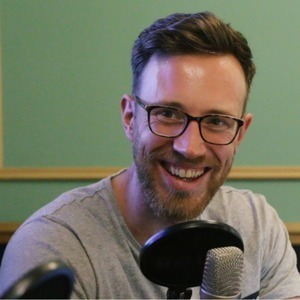 We also bring you great interviews with Marcus Treacher, SVP of customer success at Ripple to address some of the confusion over XRP, and CoFounder of PayTechLaw Frank Müller. Simon and Colin discuss the Whitehouse holding off on Bitcoin regulation, Ellen Degeneres explaining Bitcoin, Telegram's ICO money and much, much more. We also bring you an interview with Patrick Berarducci and Matt Corva from Consensys about Brooklyn Project. 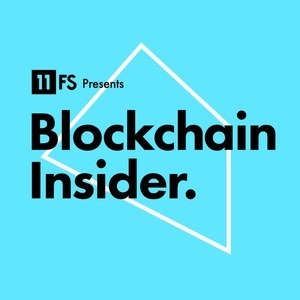 In this episode Simon is joined by Sara Feenan in place of Colin this week to cover the week's top stories and we have a fantastic interview from Blythe Masters, CEO of Digital Asset. In this episode, Simon, Colin and guest Sara Feenan dissect the week's news and we have a fantastic interview from Jameson Lopp! Today, Simon Taylor and Colin G Platt dissect lots of news coming from the asian markets- as well as bringing you interviews with CEO of Chain, Adam Ludwin and NEO's Malcolm Lerider. Simon Taylor and Colin G Platt discuss the crypto bloodbath we're currently witnessing, Kraken returning as well as bringing you interviews with two Ryan's, Blockstack founder Ryan Shea and the Two Bit Idiot & international man of mystery himself Ryan Selkis. Simon Taylor and Colin G Platt discuss Ripple's monumental rise, Bitconnect and an interview with Ville Sointu from Nordea. In the first show of 2018 Simon Taylor and Colin G Platt bring you the week's news, plus an interview with Coindesk's Peter Rizzo. As it's the Christmas break we are not here this week, so instead of the usual news overview we're giving you an interview-only special show, featuring Tim Swanson and Somil Goya from new smart contracts start up Adjoint. Hosts Simon Taylor and Colin G Platt explore the best of the week's news with help from the 11:FS Asset Management lead Pete Townsend, plus we bring you interviews with Paul Forrest from MBN Solutions, and Mark Jeffrey from Guardian Circle. Colin G Platt rejoins Simon Taylor for a second consecutive show in London to break down the week's news. Coling G Platt is actually in the building this week to join Simon Taylor for the week's top news and a very special interview with R3's David Rutter. Ep. 22. Can Bitcoin really hit $100,000? Simon and Colin discuss Bitcoin highs, Ether bonds, rogue ICOs, and much more. Plus, a special interview with Commissioner Brian Quintenz from the CFTC and a discussion on ICOs recorded live from RegTech Rising. This week Simon and Colin bring you the best of the week's news, including LedgerX bitcoin futures options, crypto funding for movies plus some exclusive insights from ConsenSys' London launch party. Ep. 20. The greatest (bitcoin) story ever told! Simon Taylor and the birthday boy Colin G Platt (still enjoying the beach in sunny Australia) cover the best of the week's news, including the death of SegWit2x, the surge in Bitcoin Cash and the latest on the parity hack. Plus interviews with Michael Casey, advisor, author, speaker and commentator, and Daniel Cotti and David Sutter from TradeIX.